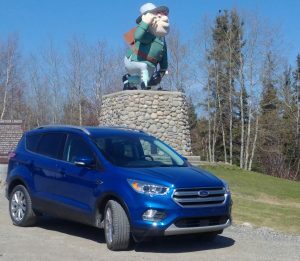 What’s your idea for the perfect Canadian Roadtrip? We were given that opportunity with Ford and we chose a spot none of us had ever been to – Flin Flon, Manitoba. Just the name itself is fun, and I’d never been that far up north so we gave it a shot. What a better way to celebrate Canada’s 150th than checking out some spots you’ve never seen before. So, back to the trip and a bit more about our destination and the ride there. 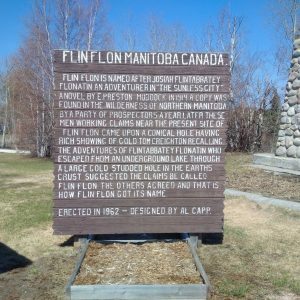 Flin Flon is about 850km away from Winnipeg – and most of it is on some pretty rough roads. Fill up whenever you see a gas station, since you hit some really, really long stretches where you don’t see a house, a town or even another car – sometimes for an hour we wouldn’t see another vehicle. There’s no cell service for long parts too and it cuts in and out so be prepared. Some parts of the road were horrible, giant craters in the highway, half the lane eroded away…but it’s all part of the adventure and the Escape handled it all like a champ. It’s a long roadtrip, and the scenery does get quite repetive after a while so make sure to bring stuff to keep you, or the kids entertained. 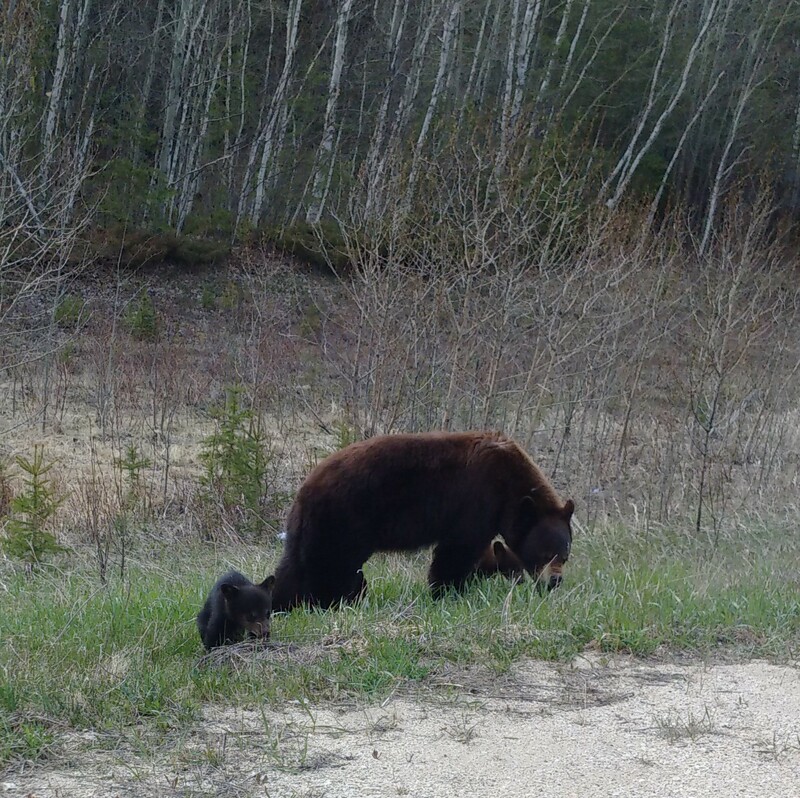 I made up my own game of Bingo – saw a fox, rabbit, deer, elk, owl and even a family of bears. Also saw a lady wearing pink Crocs, next day she was wearing orange Crocs..so I won that game of Bingo! 😉 Part of roadtrips is just having fun with the family, being goofy, singing along with the radio and so on. Flin Flon is named after a character in the book the Sunless City, Josiah Flintabbatey Flonatin. Try saying that one five times fast! You can actually buy the book at the tourism center, museum and at the library – great library in Flin Flon by the way! It’s only $10 and it’s a great little souvenir. The town has about 5k people, but it seems to really be on the upswing. There’s a brand new Walmart, Canadian Tire and many other new stores. 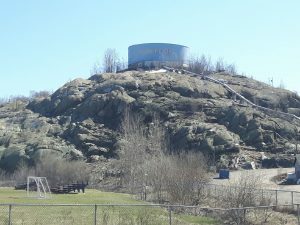 The town itself is mostly built on rock – which leads to some pretty ingenious ideas – like above ground sewer lines and just the way the whole town is laid out. Also found out Uptown and Downtown are the same in Flin Flon! Neat little town, and perfect to run into for supplies. Worth it to park on Main street and just go for a walk, most of the towns big must sees are right near there. Even just driving around town was fun, just the way it’s laid out because of the rocks and lakes was pretty cool to see. The giant smokestack is neat to see, it’s huge and you can see it right from the highway. It was an easy town to figure out – and love seeing towns flourishing! There’s even a drive in right out of town – it gets dark so late there though that we didn’t get a chance to go, next time for sure! Lots of friendly people in town too, especially at the tourism centre. That’s one of my favourite things about roadtrips, living in the city you forget how small towns and cities are. My husband hasn’t spent much time in small towns, so when we head to one he’s always worried we won’t find what we are looking for, wants me to pull out maps or set the nav….I use the old approach, open my window and ask the nearest person. End up learning a lot and meeting some friendly people, nothing more Canadian than that! 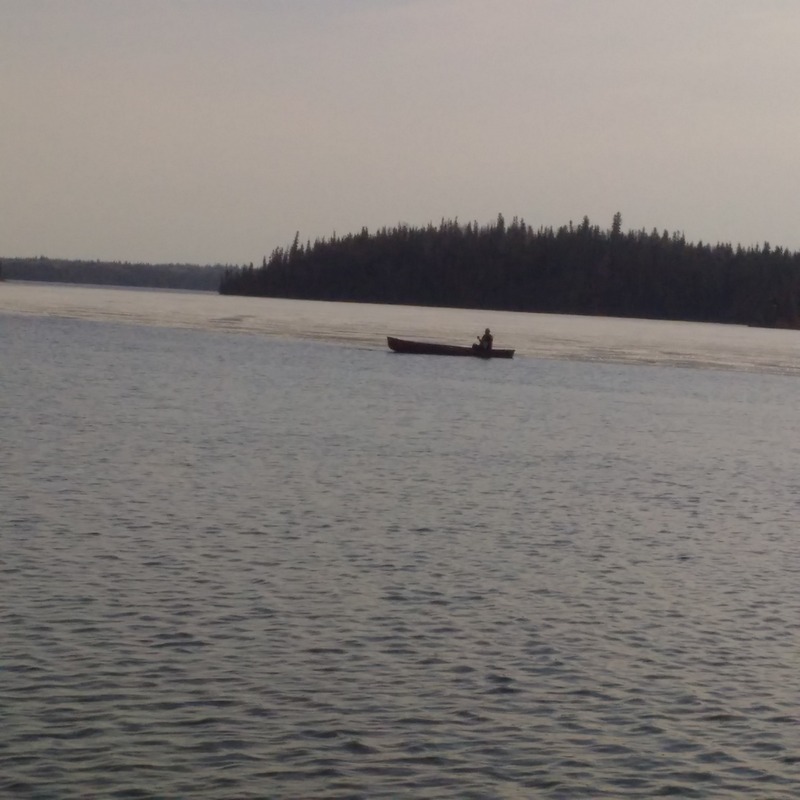 We actually chose to stay at Bakers Narrows Lodge which is just a few minutes before Flin Flon. Great resort with everything you need. The cabin we had was a 2 bedroom and came with all the kitchen stuff you’d want, plus a bbq, fire pit, even a fireplace. Super comfy and cozy and oh so Canadian too. 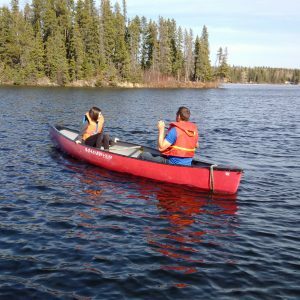 They even had canoes and kayaks to use – amazingly there was still a lot of ice on the lake, so no swimming for us yet. 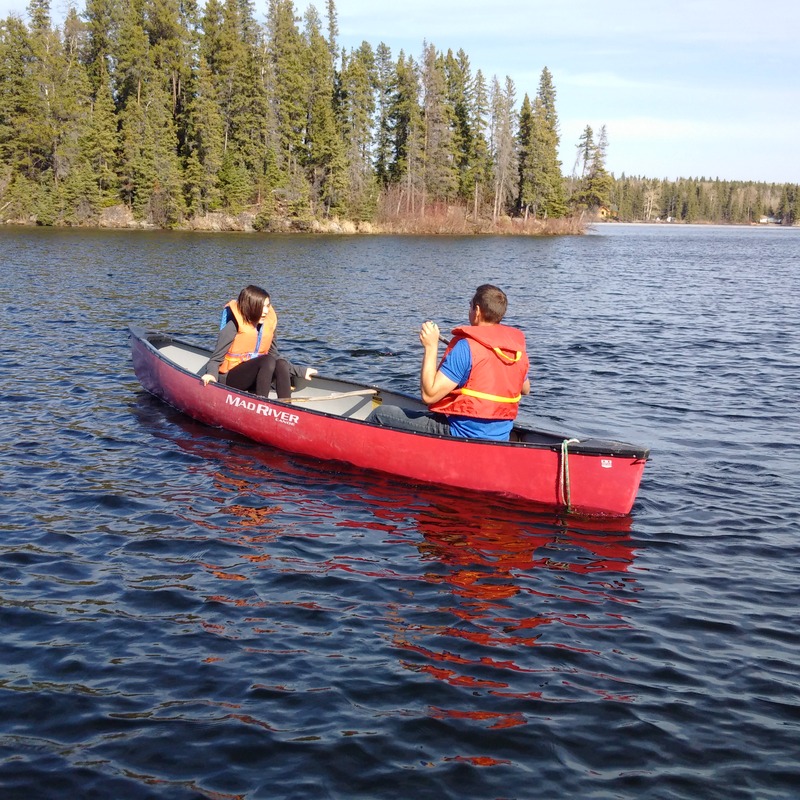 But the canoe rides were pretty great, especially when you can go right up to the ice. 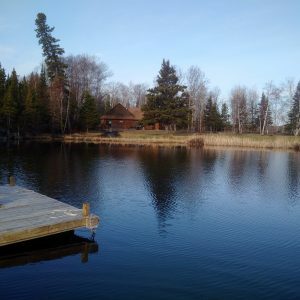 A great place to stay for a family getaway or a fishing trip – next time I’d stay a week for sure, it was that relaxing there. I had never been up north so had no clue what to expect – it was just beautiful. 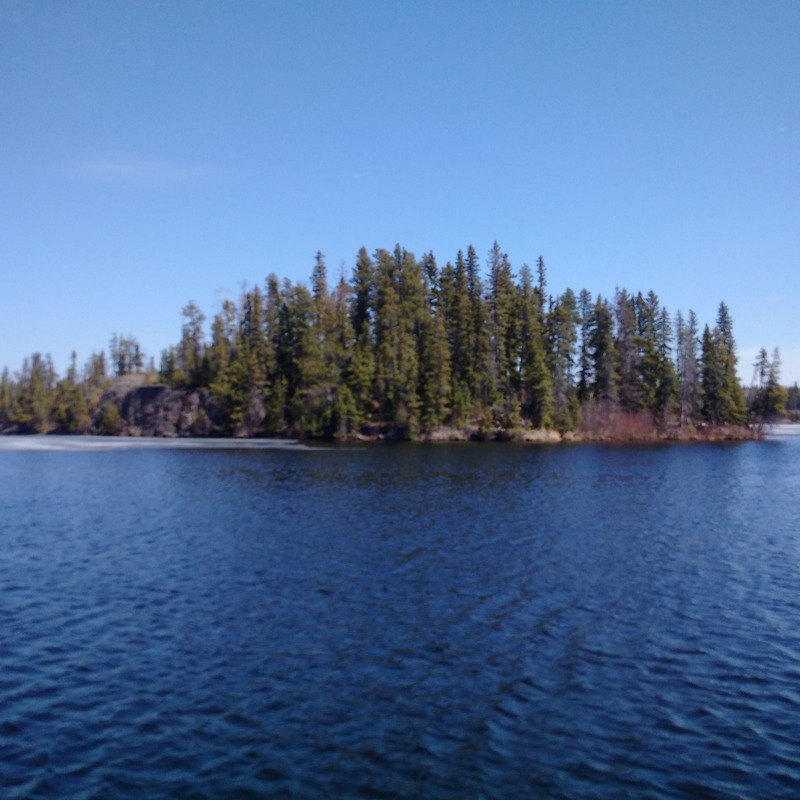 The Canadian Shield just took my breath away. The stars at night were amazing too, like out of a movie! We didn’t get to see the Northern Lights, but definitely want to go back for that. 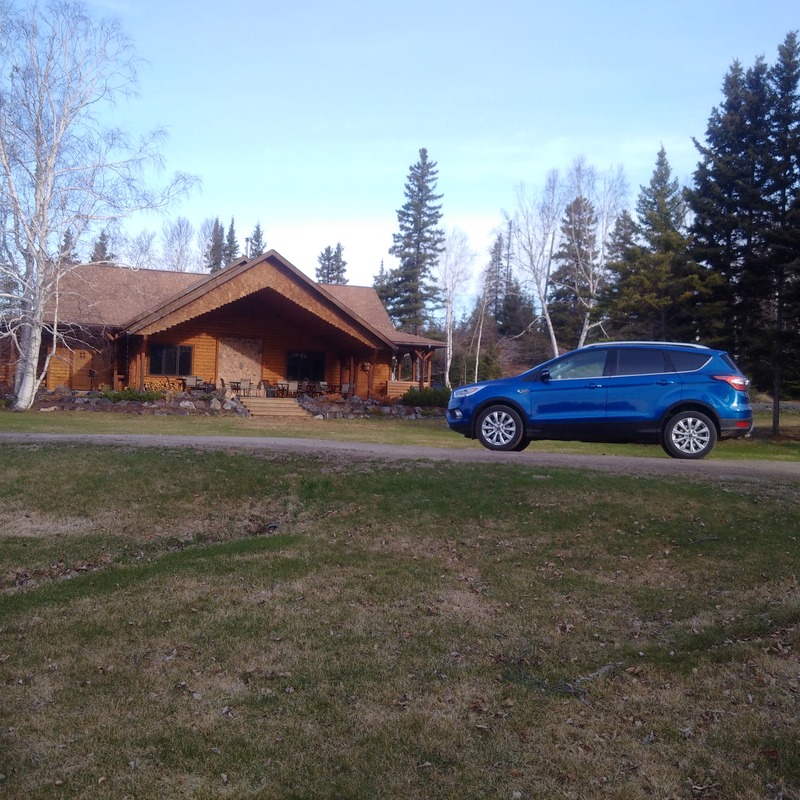 This was the perfect family roadtrip and location – most of the trip was tech free, no cell service and we didn’t care. There was so much to see and do – get outside and enjoy it. 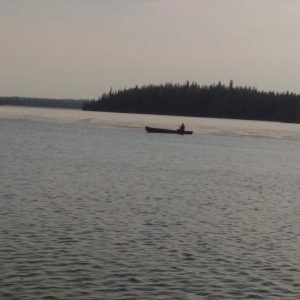 Take a nap on the dock in the sun, scoop net some minnows for the kiddo, fish from a canoe. 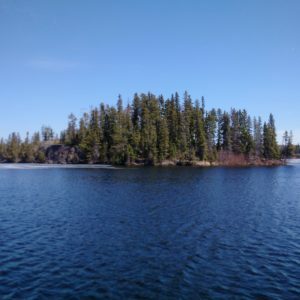 I can’t recommend Flin Flon enough for a roadtrip – but no matter what your plans are for this year, just get out there and enjoy whatever beauty Canada has to offer in your neck of the woods! 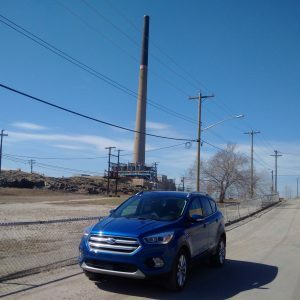 And a big thanks to Ford for sponsoring our trip – we got to go in comfort and style and see a part of the province that was new to us, but that we will be going back to for sure! Not sure what road you drove up here on but I take exception to your discription of a crater filled road!! We were to Winnipeg not long ago and never saw such a thing!! The rest of the write-up was very well done and true to my experiences here.